After Hours is thrilled to welcome back the electrifying Steven D’Onofrio as our host for AX 2019! This 21+ evening spectacular features dance, burlesque, interactive games, and more! Steven D’Onofrio is a comedian from New York who emerged from the world of anime and gaming. 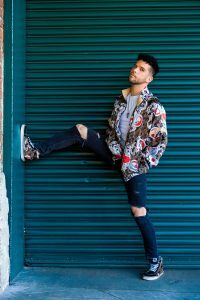 He is quickly becoming the go-to host and emcee at pop culture, anime and gaming conventions. His high energy, quick wit, and vast knowledge of all things anime & games instantly electrifies any event, whether it’s a Cosplay Contest, Game Show or one of his own live shows. Steven works hand in hand with The True Colors United to help raise money and spread awareness to end LGBTQ youth homelessness. Steven also happens to sound JUST like Iago from Aladdin when he shouts. So if anything, there’s that. 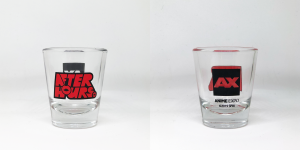 Additionally, After Hours is excited to unveil our new exclusive shot glass, available as an add-on with any ticket purchase! Shot glasses are $6 and can be purchased online or at the AX Merch Stores in South and West Lobbies. We only have a limited quantity available, so pre-order yours now and pick it up at Will Call with your ticket! 21+ only; must have a ticket plus a badge and a valid government photo ID with date of birth for entry. Check-in begins 30 mins prior to the show. Security will be conducting ID check prior to check-in at the door. Doors close promptly when the show starts, no late entry allowed. No refunds, no exchanges, all sales are final. 4 ticket limit per order.